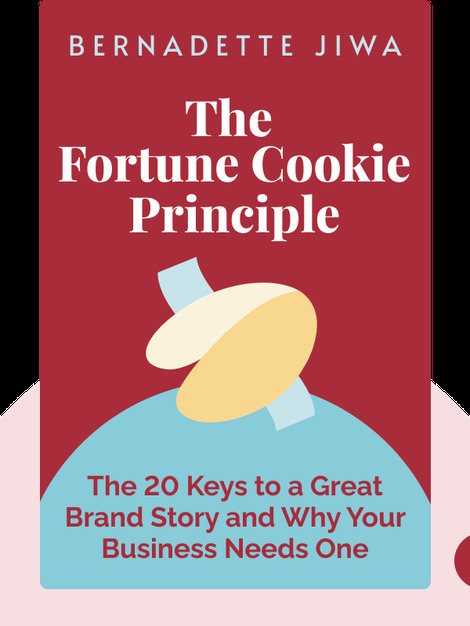 The Fortune Cookie Principle (2013) is a practical guide to building a successful brand through powerful storytelling, a compelling vision and a clear purpose. These blinks explain how to tie your product to the meaning that potential customers seek. 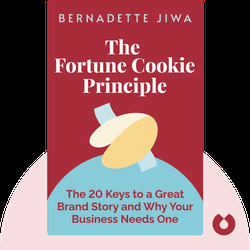 Bernadette Jiwa is an Australian brand storytelling and marketing expert. She has written a number of bestselling books including Make Your Idea Matter and Marketing: A Love Story and blogs at thestoryoftelling.com.